Interested in working from home? Curious as to whether or not there are legitimate money making opportunities online? Check out the sites listed below to see if any match your interests (or passions) in life. 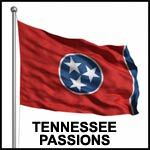 Tennessee Passions is part of the Passions Network network of sites, and as such, is part of the Passions Network Affiliate Program. If you have a website focused on the 'Tennessee' community, you can (potentially) make money by promoting our site(s). Details of the program are outlined on the Affiliate page linked above. Minute Workers is a site built specifically to connect people looking to work from home, with employers looking to hire workers for small jobs and/or very small tasks that can be done remotely. By small tasks, we mean SMALL tasks, with some jobs only taking minutes to finish, and minimum payouts set to $.10 per task. For remote workers looking to control their hours though, this type of site/opportunity could be a perfect fit. Amazon has created a site based on the idea that there are certain types of tasks better suited to humans than computers. As a 'mechanical turk worker', you can work from home, choose your own work hours, and get paid for doing good work. Examples of tasks include: Selecting the correct spelling for search terms, finding the item number for a product within an image, rating search results for different keywords, choosing categories for products. While the payout for any individual task is very small, there are large numbers of tasks are available, which should make it a little easier to find projects of interest. Review Stream is a site where anyone and everyone is invited to write a review on products, companies, hotels, politics, cities, stores, websites, etc. In fact, on the site, they say 'Everything can be reviewed and every review can be paid'. For obvious reasons, there are a number of restrictions on what can be included in reviews, and how reviews are to be written. The current review rate is listed on the site homepage, although there are some other factors that come into play with regards to payments. Shvoong is another site focused on providing summaries and reviews of just about everything. Basically, after creating an account within Shvoong, members write summaries or reviews of books, articles, newspapers, academic papers and/or websites (in their own words) up to 900 words in length. Shvoong pays 10% of it's avertising revenue to the writers on the site, so the key is to build up a large number of well written reviews that draw a large number of views. While it could take time to begin making money on the site, Shvoong offers lifetime royalties on the articles written. Aside from the potential revenue that could be earned on the site, Shvoong points out that members also enjoy mass publishing of their work, recognition, promotion and free web traffic. Aside from sites that allow members to post written reviews of products online, there are a number of survey companies paying people to provide survey data to them directly. Survey companies manage the survey process for other companies, and enlist people to complete surveys on a wide variety of topics/products. The amount paid per survey, and the frequency with which surveys are sent out varies wildly. American Consumer Opinion appears to be one of the better options within the online survey marketplace. Wouldn't you like to make a little extra cash from old electronic items lying around your house, while helping out the planet by keeping this stuff out of landfills? Buy My Tronics is a great site making it easy for people to get rid of their old electronic equipment, while pocketing a little cash in the process. The process is pretty simple, click thru to the site and enter your equipment model number(s) into their system. Let them know what it is you want to sell, and the condition, and they will calculate the price they can pay (and they pick up the shipping charges). Depending on a number of factors, they either provide a shipping label, or they send you a prepaid box to ship the item in. Just ship the product to them and after it arrives, they will either send payment or contact you if there is any difference between what they expected to get (based on you assessment of the item's condition) and what they ended up getting. In any case, these guys provide a great solution for people who would like to get rid of non-used electronics easily. Take a moment to gather up any old cellphones, iPods, laptops, desktops, game consoles and PDA's...and check out their site. Who know's, you just might make enough from your old stuff to get something new and shiny. Ooh...new...shiny...gadget...must have now! TuneCore is different from the other sites on this page, in that it is one of the few sites we have listed that has a cost associated with it. While an account can be set up for free, their 'music distribution' service does cost. Basically TuneCore helps musicians get their music listed on music distribution sites. On the site they say "Get your own songs, albums, demos and more on iTunes, AmazonMP3, MySpace Music, eMusic, Napster, Rhapsody and more. Get 100% of the royalties and keep all your rights. Upload your music now." The cost for music distribution seems small, and for someone who has actual music already created, it seems like it could be worth it. While no one can be assured that the money spent will be recouped, it is amazing the number of opportunities available to creative individuals these days. The internet has opened up new markets, new marketplaces, and new ways for people to market themselves. Again, no guarantees, but for musicians, it seems like it would be worth some investigation. If interested, click the link above to sign up for a free tuneCore account and then pay only $9.99 for music distribution. In the past, only professional photographers had the equipment, the knowledge and the ability to make a living from selling photos, but all that has changed in the last few years. The sites listed in this section encourage anyone with a camera and a good eye to upload their photos, which are then made available for purchase. Each site has it's own restrictions and payout details, so it is important to take the time to choose the site (or sites) that might be a good fit for your photos. Rather than detail the differences in each site, we are listing sites recognized as leaders within the online photo marketplace. HubPages is a large community site filled with people writing about the things they know and love. Writers on the site are called 'hubbers' and the articles they write are called 'hubs'. The revenue model for the site, and for anyone who joins, is to share advertising revenue that appears on the 'hubs' written by the members. The primary advertising partners are Google Adsense, Kontera, Amazon and Ebay. Hubpages has an account with each of these companies, and writers on the site set up their own accounts as well. Advertisements on the 'hubs' is split between the HubPages accounts and the Hubber's accounts. Revenue split details and information on how to get set up on HubPages is clear and concise. Basically, if you like to write, and you have the time and inclination, this seems like a good place to try and earn some extra cash. As with most sites linked on this page, it will take some time and effort to begin to see any revenue from your efforts, but their site is well designed and easy to understand. AllVoices is a large site designed around the premise that news is happening constantly, on local and global levels. People are encouraged to submit information on any 'news events', so that it can be shared. AllVoices takes the submitted information, organizes it by category, and combines it with related (relevant) news, video and images. The AllVoices 'syndication' program allows contributors to earn 'exposure', as well as revenue by licensing submitted images and/or video. AllVoices uses it's connections with it's media partners to shop the submitted images and videos for a buyer. They negotiate the pricing and split it with their 'contributors'. This type of opportunity looks ideal for regular travelers, travel journalists and/or anyone who happens to capture a random news event via photos or video. OK, this one shouldn't really be listed on this page, because technically, you wouldn't be 'online' when you made money doing this...but we just think it's cool, so we are listing it anyway. We have no idea what level of compensation is available here, but in all likelihood, it's small. The cool thing about this opportunity though, is that 'playtesters' are able to play unreleased video games. The goal is to give the video game developers more information on what is and isn't working within a specific game. As mentioned, this opportunity is a little different than the others listed on this page though, in that the video game testing is not done online...but rather 'in-person'. For the right individual, this could be a fun way to make a little extra cash, and (probably more importantly) enjoy bragging rights (for being able to play video games that haven't been released yet). Fiverr is a simple, sortof silly, but totally fun site based on a pretty straightforward idea. People list stuff they will do, or stuff they will create for $5, and other people look through and purchase these '$5 gigs'. (The person listing actually only gets about $4, with $1 going to the site.) There are some rules on what can and cannot be done/sold, and a couple of other money related rules, but overall it couldn't be more simple. Just figure out what you'd do for roughly $4 and list it on Fiverr. If someone takes you up on it, you make money. And if lots and lots of people are interested, you make...well, you do the math. HealthyWage is an interesting site, that pays you to lose weight. The basic premise is that adverisers want to be able to promote themselves to people focused on weightloss and wellness (and HealthyWage makes money from sponsors looking for access to their members). There are rules regarding who can participate (ie. Body Mass Index of 30+), and rules on how how much progress needs to be made within a year. (Considering that the BMI only needs to be at 25 or less one year after joining, the goal doesn't seem unreachable.) Since money is to be paid, there are also rules on how someone is weighed, and what information needs to be collected. Basically, if you are overweight, and looking for a way to be motivated into losing weight, maybe the chance to earn a little cash will do the trick. But of course, with any serious weightloss goal, NO ONE should do anything without first discussing it with their personal physician. *Aside from providing a network of free online dating & social networking community sites, Passions Network would like to help those members of the network who are looking for ways to make money online. The sites listed on this page have been chosen based on an expectation that they may be of interest to members of Passions Network who are interested in online money making opportunities...although no guarantees are made as to the money making potential of any individual site or service for any individual Passions Network member.